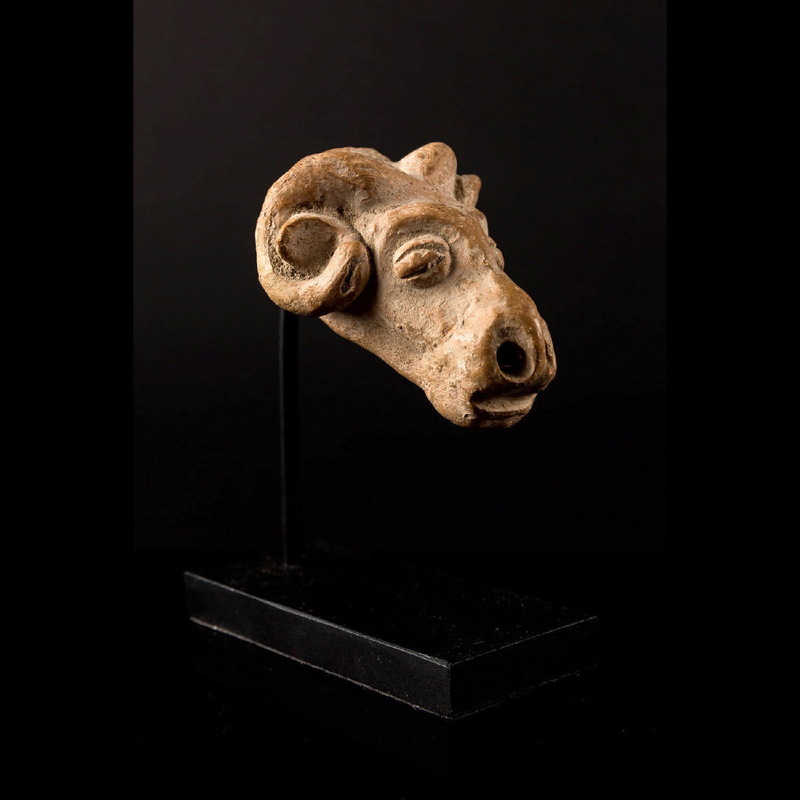 Interesting and expressive head of a ram fashioned by hand in the pink terracotta typical of the region. Prominent snout, big nostrils, protruding eyes. Horns very curved. Very good state of preservation. The Mehrgarh culture which the origins date back to BC 7000, is situated on the Bolan River in Pakistan, between the mountains of Baluchistan and the Indus Valley. 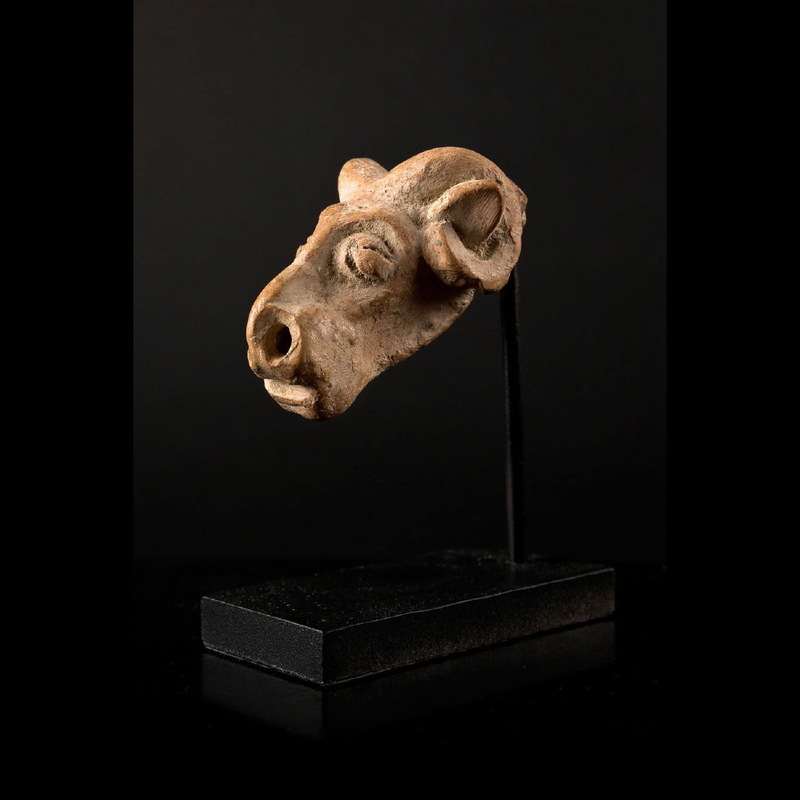 Remnants confirming the presence of a pastoral first and then settled society with the presence of varied artists have been found on the site. After 2600 BC, the area have been abandoned probably following climatic perturbations. It still remains one of the first known cultures in Southeast Asia. Its feminine idols with generous breasts and wide hips testify to the cults of fertility and fecundity.